Recent protests over racism and other alleged injustice on the Cal Poly campus will spill over to the university graduation this weekend. Student protesters and social justice activists are calling on graduates to refuse to shake President Jeffrey Armstrong’s hand at Cal Poly’s graduation ceremony. A Facebook page organizing the protest is requesting that graduates show solidarity with marginalized students by politely declining a handshake with Armstrong, and in doing so, demand that the president resign. “Jeffrey D. Armstrong has lost the moral authority to lead this university,” the Facebook page states. 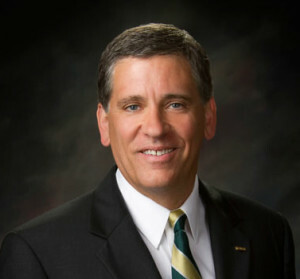 Cal Poly has responded with a statement defending Armstrong’s record on diversity and saying the university is disappointed to learn of the planned protest. The planned graduation demonstration would be the latest in a series of protests that have swept Cal Poly since an incident in which a fraternity member was photographed in blackface. Additionally, there is currently an online petition calling for Armstrong’s resignation. As of Tuesday morning, the petition has received more than 1,100 signatures. The petition faults Armstrong for allegedly taking insufficient action on combating racism.